Hopefully you've KonMari-ed your bookshelves, because there's a new book on the horizon that you absolutely must make room for — and we're sure it'll spark joy. 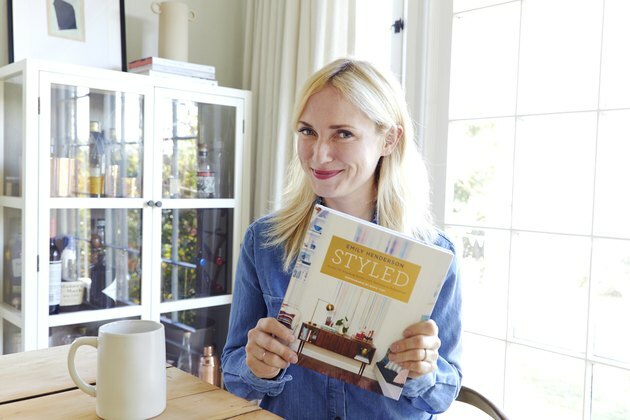 Designer and writer Emily Henderson has just announced her second book, following the incredible success of 2015's Styled: Secrets for Arranging Rooms, from Tabletops to Bookshelves, which was on The New York Times' best-seller list. While that book covered all of Henderson's top tips for styling your home, her new project is going to be a one-stop shop for all the questions you've ever had regarding renovations. "I was taking a shower on a Sunday morning, feeling so overwhelmed by the renovations of 2018 (mountain, Portland) and subsequently feeling really stupid about the mistakes that I had made (and had to pay to fix) and wishing so bad that I had one resource, ONE BOOK that I could reference instead of every single day googling 'how do you design a _____,'" she wrote on her blog. "And I stopped. and said OH SH*T, THAT'S MY BOOK." Given that the book is in its planning phase, Henderson is looking for input from you, asking her readers to submit all their renovation questions. What doesn't make it into the book might make it onto her blog, so there's a good chance you'll find answers to your questions in some capacity. She's also scouting homes to photograph for the book — so now's the time to share yours if you're super proud of it. "[We] are looking for homes that are interesting and have something special about them," Henderson explained on her blog. "It doesn't have to be fancy, just special either in architecture or decor, with ideas that people can learn from." Check out Henderson's blog post for all the details about how to submit questions and photos of your home. How to Change the Code for My ADT Alarm System?